Growing up in today’s world, especially navigating the educational system and learning important life-skills, can be difficult for anyone; persons with development disabilities can face many additional challenges. Mattie Rhodes Center recognizes the importance of providing education and support to persons with developmental disabilities and helping individuals to grow through a person-centered approach. 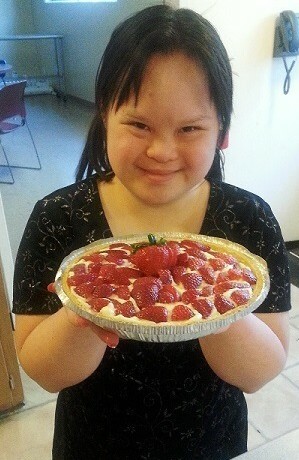 Through the Visionaries program, young adults with developmental disabilities connect with peers and participate in activities focusing on individual strengths and building self-esteem and self-confidence. Staff also provide trainings on valuable life-skills to build self-sufficiency and independence. Individuals work with staff to develop specific goals that reflect their wants and needs and craft individualized plans. Participants outline their future goals in regards to a job and volunteering and learn valuable vocational skills.